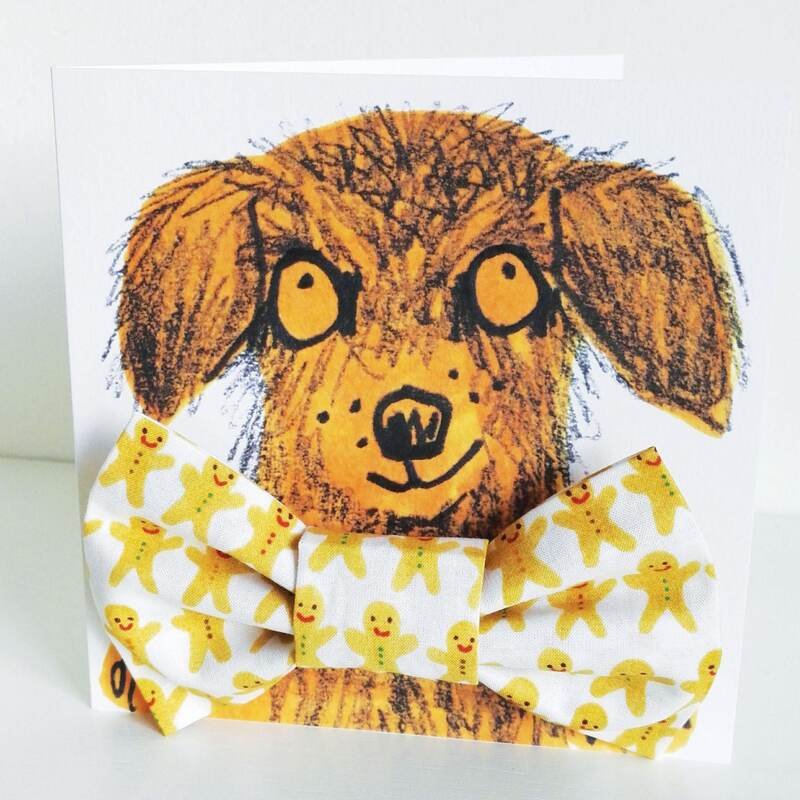 Treat your pooch to this happy little pup card wearing a beautiful handmade gingerbread person bowtie! 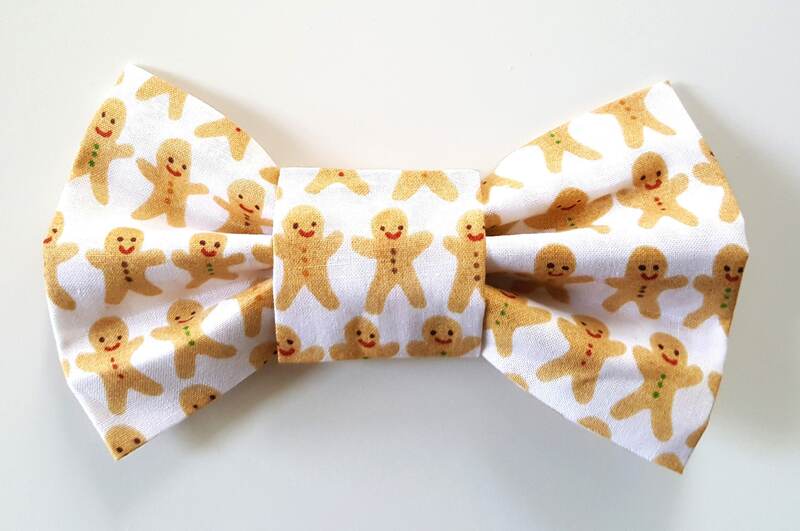 The gingerbread person bowtie is a little gift for your dog to wear on their collar, the perfect dapper accessory for those occasions where you might need that extra bit of hipster style, especially at Christmas parties! The card is printed onto 300gsm board and measures 145mm x 145mm and comes with a coloured envelope. The bowtie is made from organic cotton designed by Jo Clark, handmade by Buster & Lou Pet accessories. The bowtie slides onto a standard dog collars up to a width of 1inch. Please allow a week for delivery at busy periods, this is a handmade bespoke product made just for you. The 'Hipster Hound' dog gift range is a fabulous collaboration between Buster & Lou and Jo Clarke Designs. A range of four cards beautifully presented with one of four Christmas festive bowties for your or a friends stylish hound. Send a special message to your favourite pooch, along with a stylish festive bowtie and make sure they look their best this Christmas.